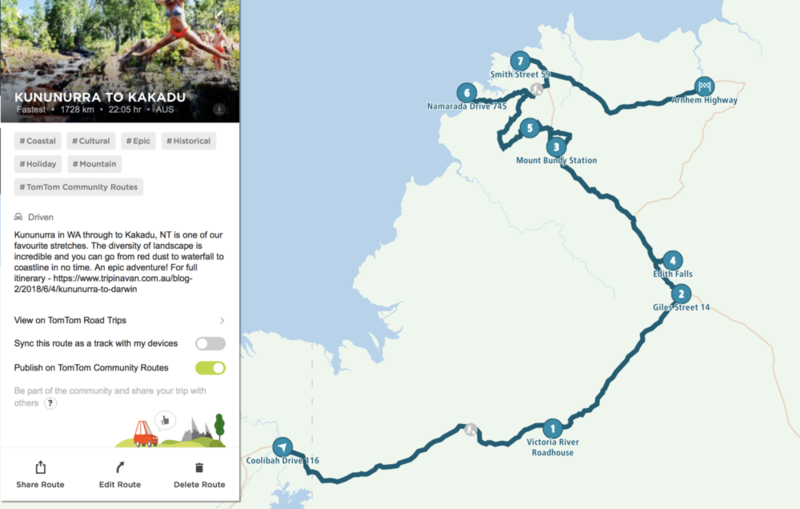 SCROLL DOWN TO THE BOTTOM OF THIS PAGE TO SEE OUR FREE ITINERARIES AND ROAD TRIPS FOR DOWNLOAD!! 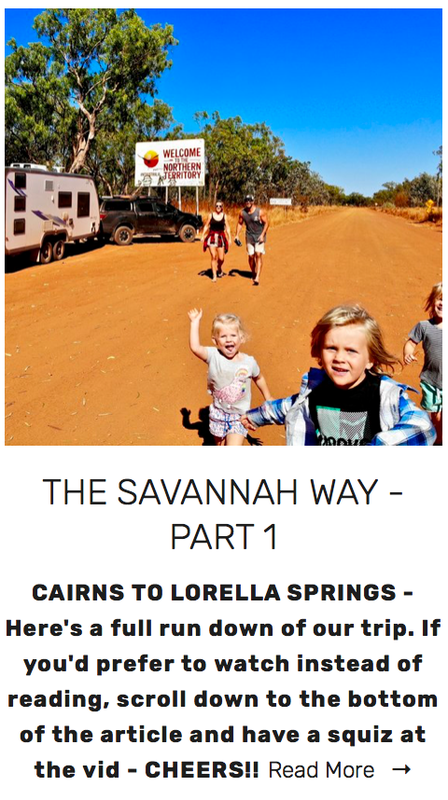 WE HAVE TEAMED UP WITH THESE LEGENDS OF THE NAVIGATION GAME TO BRING YOU SOME GREAT NEW CONTENT AND ROADTRIPS!! So this is really cool!!! We can now create road trips on the TomTom Mydrive website and you can share them wirelessly straight to your TomTom GPS, so easy!!!! Otherwise you can also download the trip in a GPX format and use it on a different navigation device. 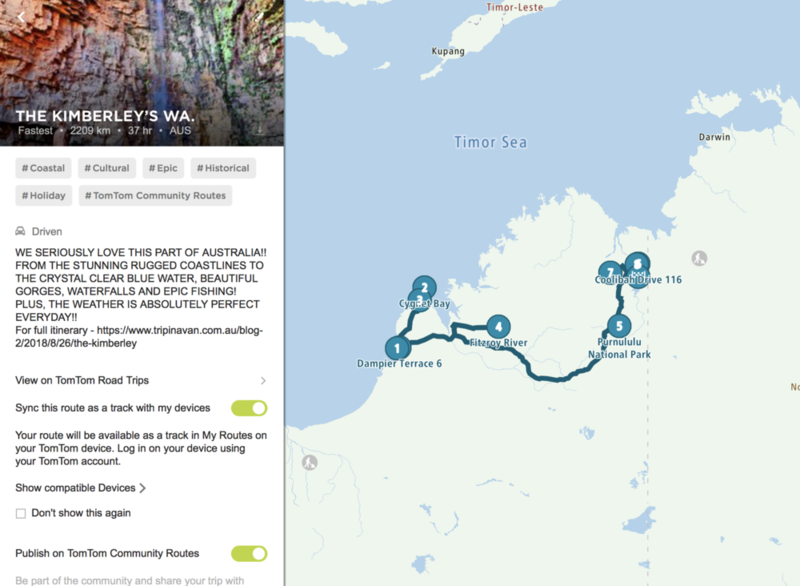 We will be adding all our past and future road trips onto this platform so you can easily plan and customise your holiday by checking out where we have been. All these road trips will be accompanied with a blog article & itinerary that follows our trip. Keep scrolling down to see all our road trips that you can download……. We have created an intro video below to show you how the whole setup works and the functions of the new TomTom Go Professional 620. We have just teamed up with the Legends at TomTom to create some awesome online content that we can share with all of you!!! There will be road trips and itineraries that we have created and you guys can easily share to your own device and follow along. This is the unit we have been using on our travels to create the cool road trip itineraries that you will find below. It has some really cool features that we will list below, but my favourite function is that you can input the dimensions of your camper or caravan into the unit and the TomTom GPS won’t take you under any low bridges or on road conditions that aren’t suitable for the size of your rig!! Pretty good piece of mind when your cruising Oz hey!! 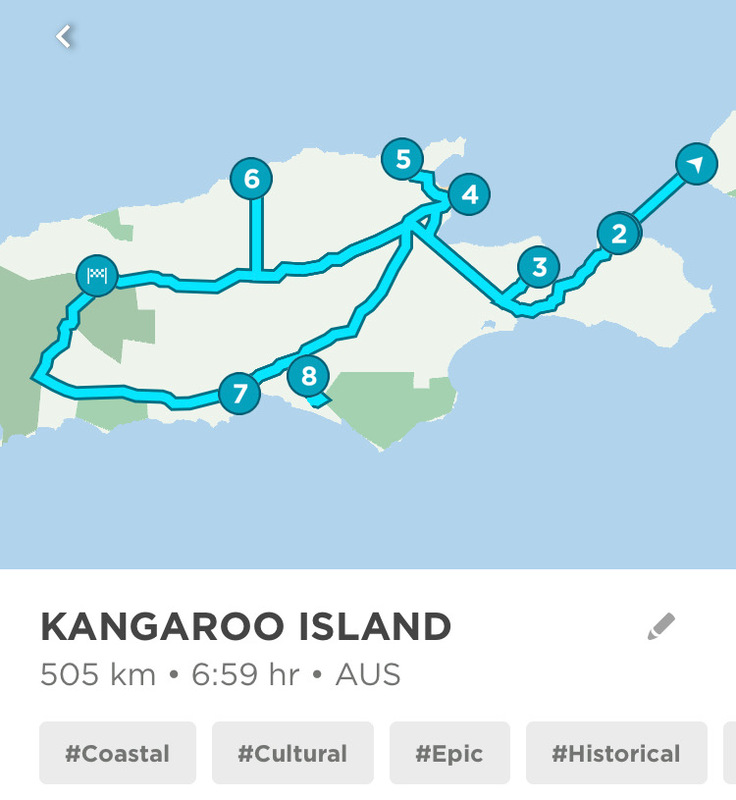 Download cool road trips like ours & send them straight to your device. & loads more cool functions……..
NOW HERE’S THE REALLY COOL STUFF!! So, Yes!! The GPS unit itself is fantastic, easy to use and has some great technical functions… But it’s the new online platforms that really help this Gismo shine!!! 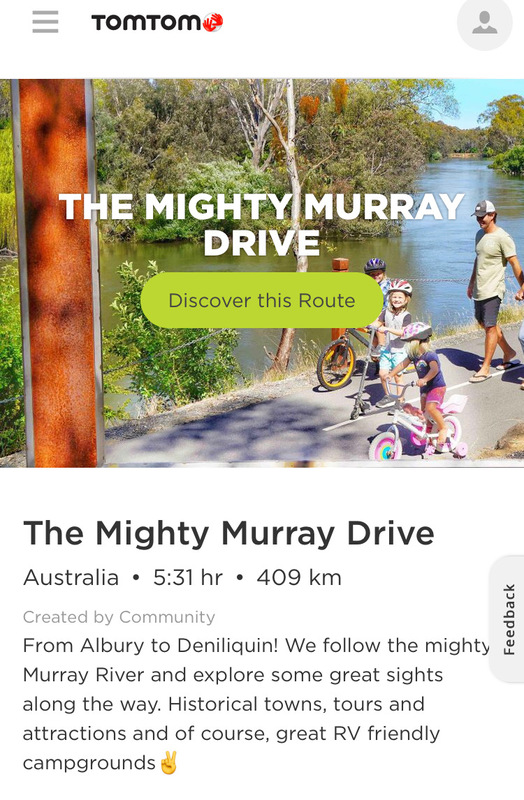 TomTom has it’s own user platform called MyDrive, which enables you to create a profile to build, share and download cool road trips from around Australia & the world. WHAT AN EPIC ROAD TRIP!! PACK YOUR CAMPING GEAR AND A FISHING ROD AND GET READY FOR THE TRIP OF A LIFETIME!! 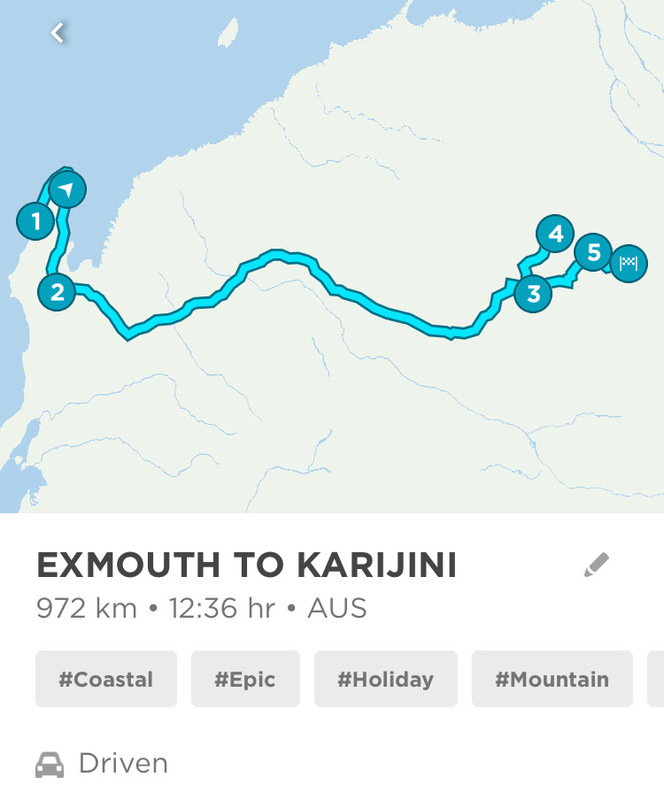 YOU CAN DOWNLOAD & PERSONALISE THIS ROAD TRIP - EPIC!!! AND SEND IT STRAIGHT TO YOUR TOMTOM GPS DEVICE WIRELESSLY OR DOWNLOAD IT IN A GPX FORMAT - WOOHOO!! Scroll down to read our itinerary!! FROM THE REEF TO THE ROCK!! 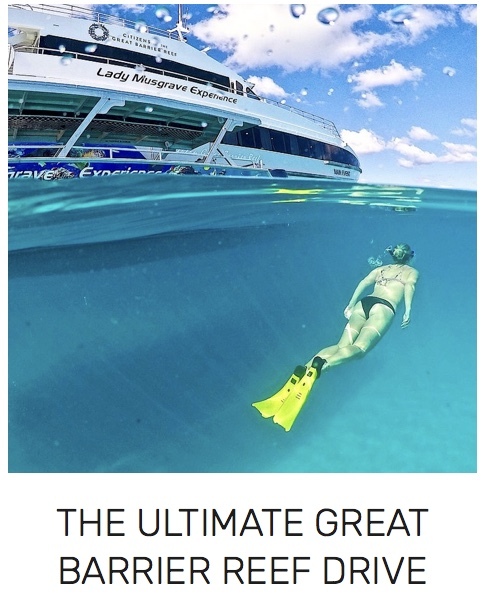 In this itinerary we tackle one of Australia's great tourist regions,"The Great Barrier Reef". It follows the road trip map from above.. THIS WAS AN EPIC TRIP ACROSS SOME RUGGED TERRAIN!! A 4WD AND A SENSE OF ADVENTURE IS RECOMMENDED!! AMAZING FROM START TO FINISH!! AND SEND IT STRAIGHT TO YOUR TOMTOM GPS DEVICE WIRELESSLY OR DOWNLOAD IT IN A GPX FORMAT !! Tasmania will blow your mind!! AND SEND IT STRAIGHT TO YOUR TOMTOM GPS DEVICE WIRELESSLY OR DOWNLOAD IT IN A GPX FORMAT!! 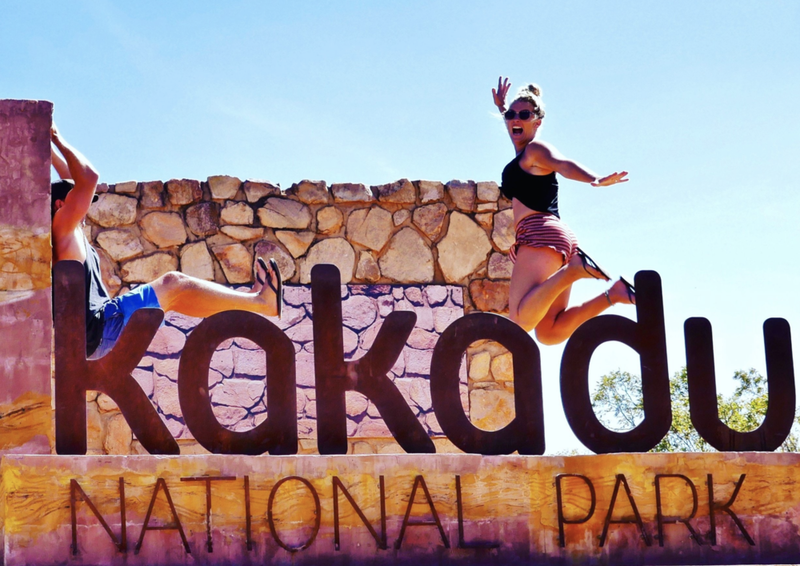 A FULL WRITE UP OF OUR TRIP AND HIGHLIGHTS!! Trip In A Van Newsletter - Monthly destinations & gear reviews! !